Rachel Kushner’s The Flamethrowers has been widely lauded for its ambition, intensity, and surprising moments of humor. She recently pulled off the rare New York Times trifecta: A Books of the Times review, a Sunday Book Review, and an author profile. In many respects a bildungsroman about a young artist named Reno, The Flamethrowers effortlessly spans a wide range of times and places — a proto-Futurist movement in 1910s Italy, the New York City art scene of the 1970s, and a landspeed trial on the Bonneville Salt Flats, to name a few. I recently emailed with Kushner about initiations and introductions, Clarice Lispector, challenges to the nature and status of work, politics in art, and writing about the American West. I found this to ring very true, albeit with my far more limited experience navigating the art world. How did you pick up these lessons or develop an ear for the way artists and gallery owners speak? 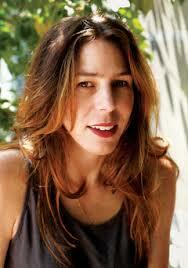 Rachel Kushner: I have spent a lot of time in the art world, and I guess I do listen to how people speak. I’m interested in what they say and how they say it. But perhaps the quote above, if true, is true of certain kinds of people generally and not just of those in the art world? I’m not sure. I might even be one of those people myself. Not one who would or might jettison somebody — no, I hate that kind of exclusion — but I do prefer to converse in a way that is “in medias res” perhaps. Catching a wave with someone, getting on a topic, having an exchange that feels real and interesting, and isn’t a formula for “getting to know you.” When I see someone for the first time in a while and they ask, “How have you been?” or “What have you been up to?”, it’s politeness, but a bit of a conversation stopper. Also, the general resume information isn’t always the thing that tells you much about a person, is it? Not everyone wants to be reduced to these formulae for identity. I think being sensitive to that, to how to get to know someone on his or her own terms, is one of the nuances of sociality. And the narrator is kind of figuring this out in the moment of her immersion. It was an opportunity to describe something I feel I understand, or have at least experienced — both ends of it. Beyond this, there are different initiation protocols, if you want to call them that, that Reno experiences throughout the book. There is her immersion in the New York art world, her discomfort in the Valera’s villa at Lake Como, her easy though ambiguous acceptance into a radical political group in Rome. Did you look at this as a way to weave in a bildungsroman aspect to a book that gains so much of its strength from building out these different environments? Or was this more a way to tease out the broader theme of how art, economics, and politics were inescapable forces in shaping all the characters in the book, despite their efforts to deny this? Well, gosh, thank you for so thoughtfully stating all this. Both. Every scene in the book is meant to, I mean should, both deepen the characters featured in it, and put pressure on the subjects, themes, and various kinds of meaning that come up in the writing. The last part of your question is a nice argument that one could make for the book or what I’m getting at, but when I am writing, I’m not going for effects. I mean, wait. I am going for effects, actually. But not arguments. Although books make excellent occasions for arguments — such as that characters are shaped by the forces of history and of culture. But those occasions come after, with the book as an instantiation of the argument. What I mean to say is that I am writing for pleasure, and in hopes of trying to activate in the writing many different aspects of who I am and what I believe, and that any biases I have about how character comes into being, in life as much as in art, burble up unconsciously rather than polemically. The book is wide ranging, but I thought there was a very interesting affinity between the art scene in New York in the 1970s and the Autonomist movement in Italy. In his introduction to The Unseen Antonio Negri writes that Nanni Balestrini “represents the invisible yet powerful transformations from material work to immaterial work, from revolt against the boss to revolt against the patriarchy, along with the metamorphosis of bodies brought about within this movement, and the imagination that this new historical condition (social and political to be precise) brings to speech.” In a way the New York artists (e.g the land artists that inspire Reno) were also challenging the status of work, of “the work” that went into a work of art. You have been asked about the relationship between the revolutionary moment in the book and current social movements. There are certainly scenes of people pouring into the street or of police clashing with protesters, but I was wondering if you thought that a challenge to the nature and status of work, so present in the art and political movements of the 1970s, still rings true today? This begs a bit of defining, or redefining, as to what Negri’s position was, in regard to the autonomist and workerist movements, and his role as a primary theoretician of organized autonomy. It is a basic fact that in Italy the sites of antagonism slowly spiraled out from the factory protests (Fiat, Pirelli) of Italy’s “Hot Autumn” in 1969 to an outright refusal of work by an unproductive class in the broader metropolis, whose desires had nothing to do with the productivity of capital or with proletarian needs. I don’t claim to be an expert on these things, but my understanding is that Negri comes out of a theoretical and political tradition in which the worker and factory remained central, even to the diffusion of antagonism to the city itself. When it was clear, in the years 1973 to 1977, that there was an entire class of non-workers involved in protest in urban sites of refusal, Negri called this class the “socialized worker,” who operated beyond the sphere of the factory, in the milieu of the “diffuse factory” of the metropolis. This has been critiqued as Negri’s rigid insistence on reincorporating non-workers into his own conception of class identity and the role of the worker in revolutionary politics. As Jason Smith has written, summarizing the French political collective Tiqqun’s critique of Negri, “organized Autonomy’s theoretical proposals — especially Negri’s ‘socialized worker’— represent a commitment to the fiction of the social and to the metaphysics of production.” Tiqqun’s position — and perhaps Smith’s, too — is that Negri made a grave and crippling miscalculation, in his insistence on a class identity based on work. Negri, Tiqqun seems to assert, could not recognize the true and real site of antagonism, which, by 1977, had little to do with work, and with a classical geometry of worker, institution, and state, but was about a new incivility that rejected the entire sphere of work as such, and society as such. There are some, like Tiqqun, who see this incivility and rejection as relating directly to contemporary times, perhaps calling for the emergence of an “imaginary party,” a new ghost built in the leftovers of a nonexistent or defunct class war. The nature and status of work, to try to directly answer your question, was already crumbling in the 1970s. In fact, the 1970s was its death, and burial, and also a moment when the question arose, as to what is to be done when the sites of antagonism are no longer the factories but the entire world, spread through with reproduction and consumption. What is to be done now? We are still asking this question, and attempting to answer it. The art question above I’ll respond to separately, even as I agree with you that there is some resonance between them. In the late 1960s and very early 1970s there were artists in New York working in ways that could be seen as perhaps problematically romanticizing working class life, and even reproducing class structure while pretending not to, like Robert Morris driving a forklift into a museum in a hardhat, a stogie in his mouth like a labor boss, as the critic Julia Bryan-Wilson pointed out in her excellent book on the Art Worker’s Movement. Morris, Carl Andre, Richard Serra and Donald Judd were all artists whose work utilized factory aesthetics and modes of production. They dressed like factory workers. They theorized that art was labor, but was it really labor? A privileged site of it, to be sure. Just slightly later Lucy Lippard wrote about the dematerialization of the art object and this, in the hermetic world of art, was certainly a shift away from sellable objects, it was a rejection of the marketplace . . . but only for a moment. The market, the dealer, and the artist have all learned to get around this playful challenge to sales and profit. In any case, I don’t make easy parallels between art and politics. A lot of politics in art is just institutional critique, which, in my opinion, is not all that political. It’s about the careers of artists and their oedipal resistance to the museum that they need so badly. That said, I’m not really sure art is suitably the arena for politics. And neither is the novel. Ideas can drift through both, but never as driving forces. Art is about play and about transcendent meanings, not reducible to politics. Writers will often bristle at being assigned a function or being told they are needed, but one key difference between the Autonomist movement and conceptual art in the 1970s seemed to be the role of writing. Autonomism influenced poets like Balestrini and Umberto Eco and spawned a unique style of Marxist criticism in people like Bifo and Paolo Virno. Writing seemed central to the movement. However, much of the work of conceptual art, whether it be performance art, land art, or minimalism seem less dependent on developing a style of criticism or explaining one’s work. The goal seemed to be to collapse the distinction between discourse and practice and thus blur the distinction between art and life. In general, do you think that political movements benefit from developing a specific style of writing? Or is there a lesson that political actors can learn from art that moves away from a focus on writing? But the artist’s movements you mention — Land Art and Minimalism in particular — spawned entire discourses in the art world and even the very tradition of artists developing their own theoretical claims in order to define, from inside, what it was they were doing. These artists developed their own terms of discourse, really entirely. This is a moment when all of these artists were writing long theoretical pieces in the pages of Artforum. By the early 1970s, you have Avalanche Magazine, which was specifically founded as an outlet for artists to articulate the theoretical underpinnings of their own practices. A great deal of Robert Smithson’s discourses on his work and on entropy originated in the pages of Avalanche. Bomb Magazine, later, was founded on a very similar principle. It answered to a need in a time when it was important, suddenly, for artists to explain their own work. Donald Judd wrote long pieces about Minimalism. So did Carl Andre. So did Robert Morris. These people took it upon themselves to define what they were doing. Smithson’s writings are still being read by young artists, they are perhaps as important as the earthworks he made. I joke, in the novel, that the ethos of Minimalism — “what you see is what you get” — the thereness in the room of a simple and industrial looking thing — is always problematic because in fact to really get the thereness of an object you had to have read about Minimalism. The object does not detach cleanly from its discourse and rise up in its thingness for the uninformed viewer. Those who know about Minimalism are able to situate the thereness by virtue of an instructive discourse they read about beforehand. I really liked a piece you wrote in Bookforum recently on Clarice Lispector. Do the habits that you build up as a critic or editor bleed into the writing of the novel? You clearly have done a lot of research, so is one of the pleasures of writing the novel introducing people to a new world (conceptual art, radical politics of the left and the right in Italy, motorcycle racing)? Thanks for mentioning the piece on Lispector, which required a much higher research-to-word ratio than The Flamethrowers. I welcomed that assignment because it would force me to attempt to become an expert on her, spend a period of time as a Lispector inspector. With fiction, I see the role of expertise maybe a bit differently. Although not completely differently. I like to read novels where the author seems knowledgeable; like someone you know you could walk calmly next to through a complicated situation and he or she would be alive to its meaning and ironies. And you wouldn’t even have to mention them out loud to each other. A writer who cares about the world and about the smaller but not insignificant details that can be cracked open to find humor and meaning. That’s how I like to feel when I’m reading and what I try to go for when I am writing, in the sense that I want to activate what I know but in a manner that is organic to the narrative, and not simply knowledge for its own sake. The novel is a special occasion, or a whole array of them, occasions in which only something very filtered and metabolized and appropriate to context can be called upon. I don’t like the info-dump, as it’s known. Finally, I actually didn’t do a lot of research. The novel enfolded certain areas of knowledge — art, politics, motorcycles — that I had acquired just in the course of life, as a person. These things were not fields of study that I pursued in order to write about them on this occasion. In the Bookforum piece you wrote admiringly of Lispector’s disregard of classical narrative. “Let no one be mistaken,” Lispector writes in The Hour of the Star, “I only achieve simplicity with enormous effort.” There is certainly a narrative thread that runs through The Flamethrowers, but did you draw on Lispector or other authors to afford yourself more freedom in the story that you wanted to tell? I love that line. “Let no one be mistaken, I only achieve simplicity with enormous effort”! You could tattoo every line she’s ever written on someone’s flesh and it wouldn’t be a waste. I mean, as far as those “sound-bite wisdom” tattoos go. Her simplicity is an achievement, a precision that can only be arrived at with her intelligence and her ambition, her need to close in on the truth. But I did not draw consciously on Lispector. I was thinking of her in a sustained way only later, after I finished my novel. That said, I do perceive the narrative thread as doing multiple kinds of work, one of which is to buy me some space to do other things besides further a plot. Lispector is different. She isn’t digressing, as there is practically no narrative, and by the end of her life, there was none at all, and those are the best books! I like certain works that have a story, but don’t sacrifice nuance to that story, and that try also to pour in complicated meanings that don’t inhere in “plot.” Like Gaddis’s The Recognitions. The early DeLillo novels, End Zone, for instance — a classic and a favorite. Celine, Journey to the End of the Night. Denis Johnson, Tree of Smoke . . . Bolaño’s Savage Detectives and 2666, which to me are one grand tapestry. Pasolini’s crazy and unfinished Petrolio. There were many books that enabled and influenced my own, but not directly or explicitly. I name those but there are always so many. The first major setting in the book is the Bonneville Salt Flats, where Reno is trying to set a land speed record on a motorcycle. Your descriptions of the landscape are very beautiful. They struck me as very accepting of the landscape, which in the book is contrasted with the way New York based land artists viewed the “real authentic West.” Even though you’ve spent so much time in New York and other big urban areas, do you still consider yourself a Western writer? Does that designation even have any meaning to you? It’s a good question. But no, the designation “Western writer” strangely holds no meaning for me. That said, I love certain writings about the West, but it seems not to matter to me that the writer be from the West. In any case, I find people’s firm and insistent grip on identity and origins to be sad and arch. Who knows what defines us? What interests me and excites me at a given time — that is what defines me. And I will go ahead and feel suitably proprietary about whatever it is I want to understand and transmute into fiction. But it’s true, I am occasionally enraptured by Western landscape. But I don’t identify that state of mind as having to do with my own origins, having grown up in the west, although I certainly crisscrossed Nevada countless times growing up, and then as a young adult, in cars and on motorcycles. I know the landscape so it was not difficult for me to write about it, and it is tissued into the primary scenes, if you will, so it was there, waiting for me, as material. But I think anyone who has been enraptured by the west can write about it. You don’t have to be from it. Robert Smithson, Don DeLillo, Cormac McCarthy, have all contributed to a Western canon of some kind. Blood Meridian was without question the novel that made me want to become a writer. And I think McCarthy is from Tennessee, right?